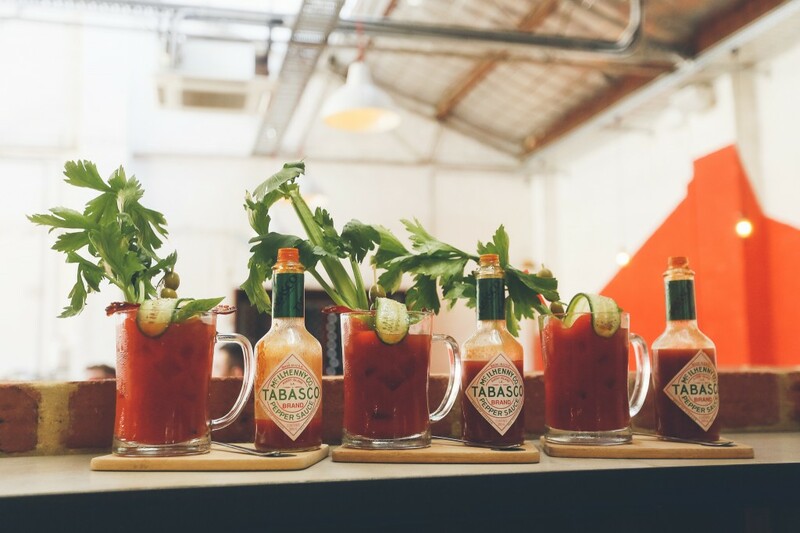 There was the round of ginormous Virgin Mary’s, served on a wooden board with an accompanying novelty sized tabasco bottle! And there was the Frangelico Affogato that provided a bit of theatrics to the morning as each element was poured together to marry into a creamy, magical breakfast sweet. 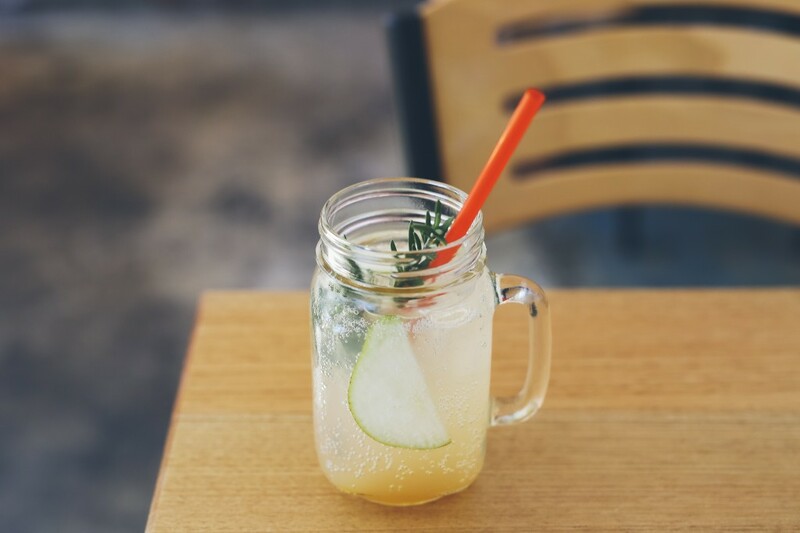 There was a Prom Queen Punch, the most refreshing combination of pear, rosemary and ginger beer (add Bourbon if you’re in the mood). 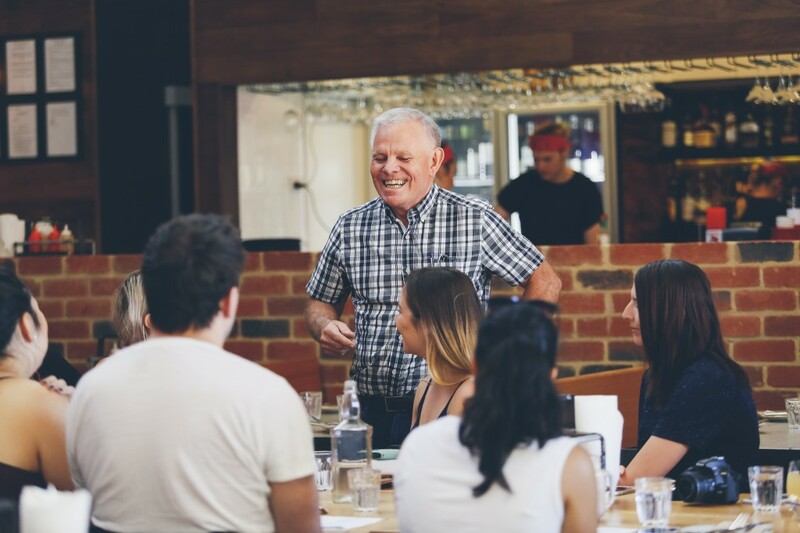 Once our bloggers were settled and with drink in hand, we all sat back and enjoyed a brief intro from our favourite guy, and owner of Side Door BBQ, Des. Des spoke about how the restaurant was built on a love of American style barbecue, and how since opening in 2016, he’s enjoyed a piece of perfectly soft, melt-in-your-mouth brisket every day. 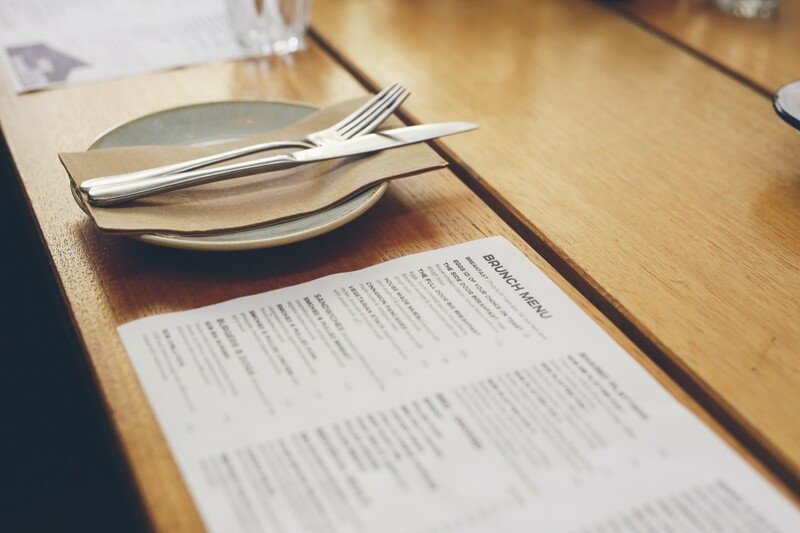 And with a few recommendations from the Side Door BBQ team and a better understanding of the ethos of the business, we dove right into ordering our brunches. In no time at all, small share plated were arriving at the table. We tasted the juiciest Pork Belly Lollipops, and the starter to get anyone’s taste buds fired up, the Jalapeno Poppers. 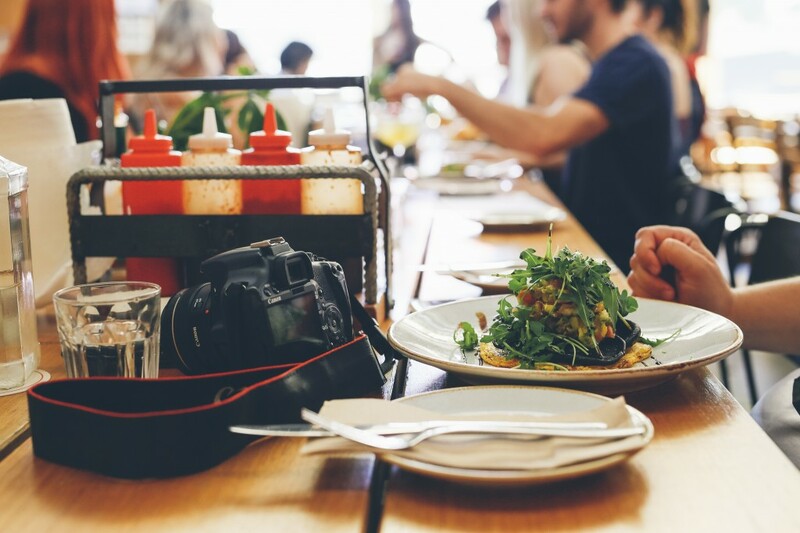 Mains began to arrive, one by one, and there was commotion as the bloggers scattered around the long communal table to snap the perfect shot of every dish that would later be used to review their food experience via their Instagrams, Facebooks, and websites. 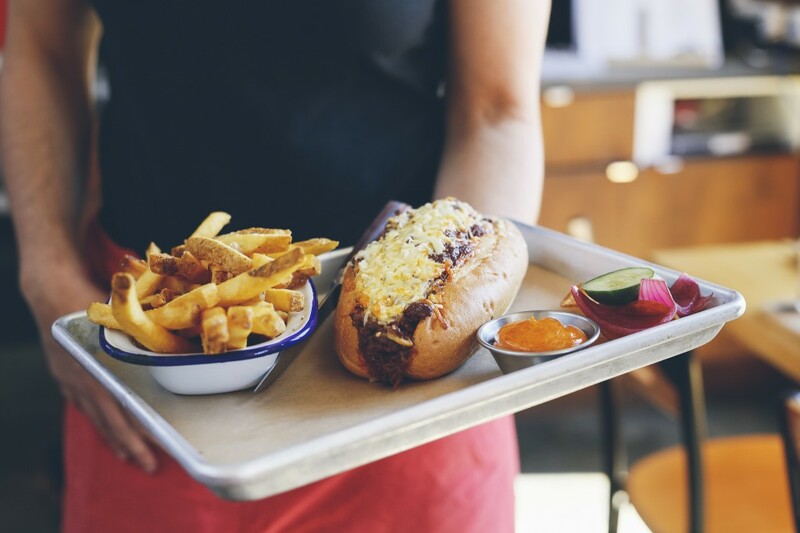 There was the unforgettable Chilli Dog, a massive portion size, juicy and full of flavour, with a bit of a kick from the chilli. Plus, it was served with a generous portion of fries and only cost $15! 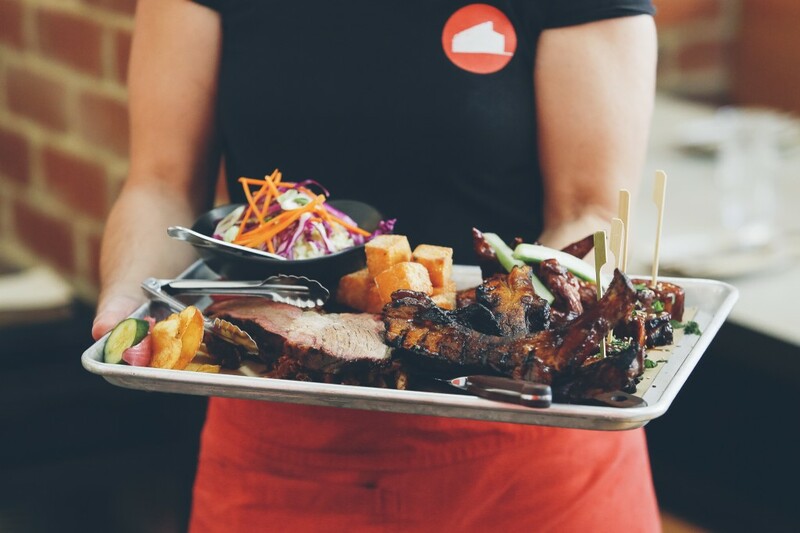 And of course, in true Side Door BBQ fashion, there was their famous SDB Platters. Pick your size based on how many people you’re sharing with (or how hungry you are) and be prepared to experience the true meaning of feast. Featuring everyone’s favourites, like the perfectly slow cooked brisket, pulled pork and mac and cheese, this one is not for the faint hearted or moderately hungry. And even though we were all full up to the brim with absolutely amazing brunch, Des wasn’t having us leave without trying some of the perfect palate cleansing desserts. 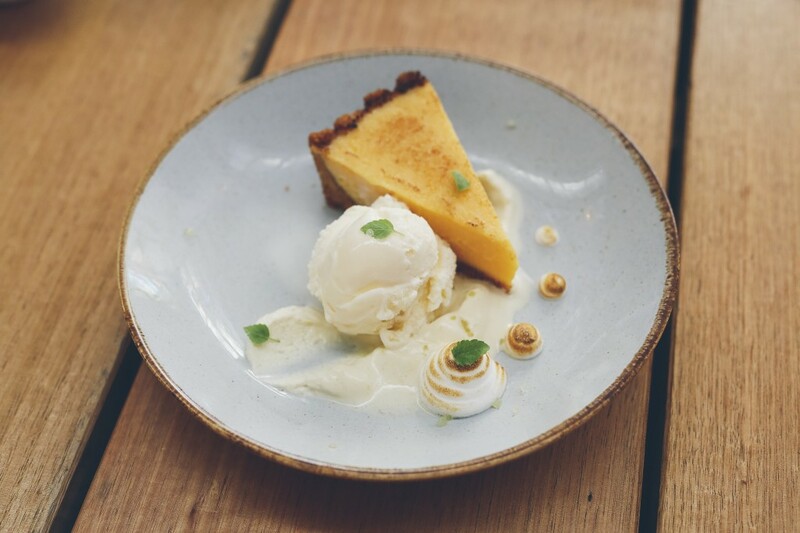 We are still dreaming of the Key Lime Pie that they served up! And don’t forget about the HUGE portion of warm, chocolate brownie with caramel sauce to accompany! Needless to say, everyone walked out happy, and a few kilos heavier that morning! 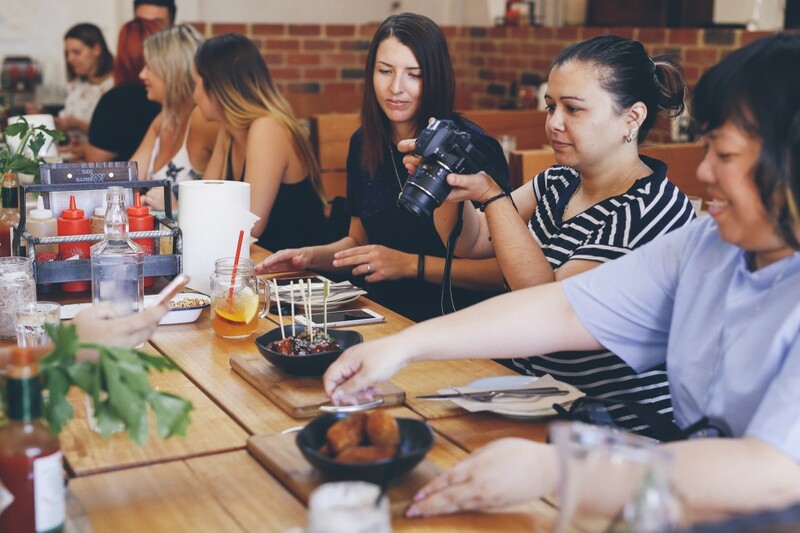 We’re so grateful to all our wonderful bloggers that came down to experience the love and care that goes into all of Side Door BBQ’s food and drink! The Side Door BBQ brunch menu is available from 11am every Thursday and Friday, and from 9am every Saturday and Sunday. Follow them on Facebook and Instagram for all the latest. 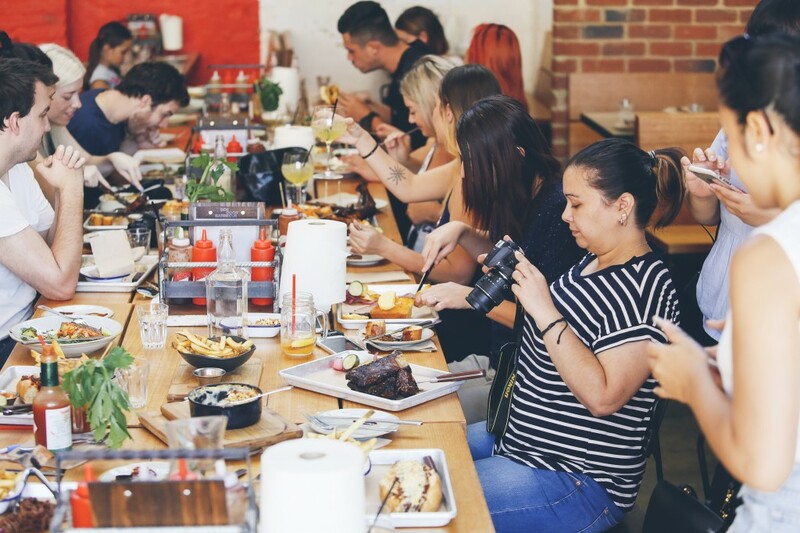 Since then, Side Door BBQ has gained over hundreds of new followers to their Facebook and Instagram pages, not to mention, engagement has increased significantly after the bloggers began reviewing their meals. The exposure that the event created is invaluable, and has proved that this marketing strategy works. Another client we used a blogger for over 12 months go received two direct sales 12 months after the first post after people had read a blogger post.